This is a great center to use during Math. Students sort the witch's cauldrons into number sentences that are true and not true. 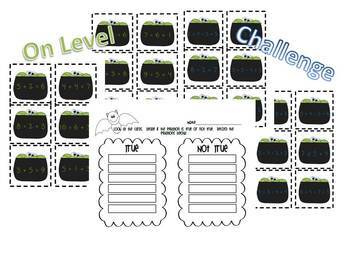 There are two levels included- on level and challenge.